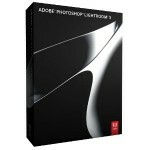 – Customizing Lightroom: Setting up Lightroom for the way you like to work. – Absolutely. Lightroom basically functions and looks the same, with newer versions of Lightroom adding new features and improvements in layout. 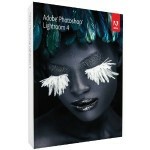 Q: Will we cover what’s new in Lightroom 4? – Yes! Though Lightroom 4 was just released March 5th and many users wait for bugs to be corrected and speed to improve before upgrading, I have it installed and have been using it. We will definitely go over what’s new in Lightroom 4, including books creation, soft-proofing, and the new Maps feature for geo-tagging images. Q: What do I need to attend? For maximum benefit, I strongly suggest bringing your own laptop with Lightroom 3 or 4 installed. Power will be provided. WiFi will not be needed.